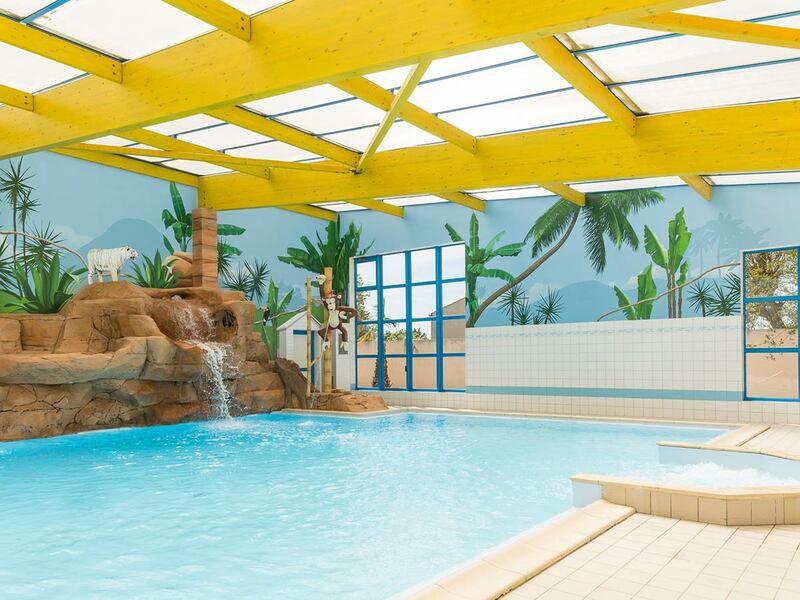 Whatever the weather may be; at Le Chaponnet swimming can start from April with water at 27° C, thanks to our heated indoor water park. 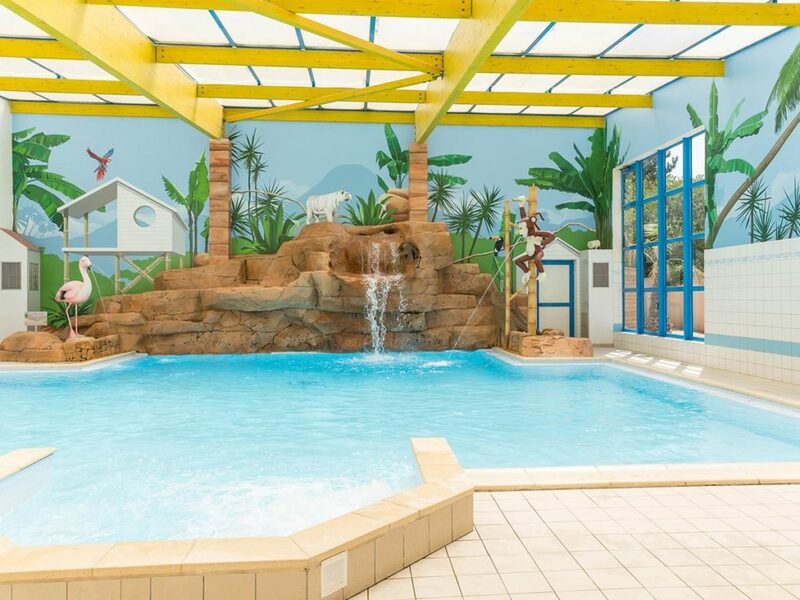 Leisure pool for all ages with water fall, water spitting animals and free access to a whirlpool. Paddling pool for toddlers. 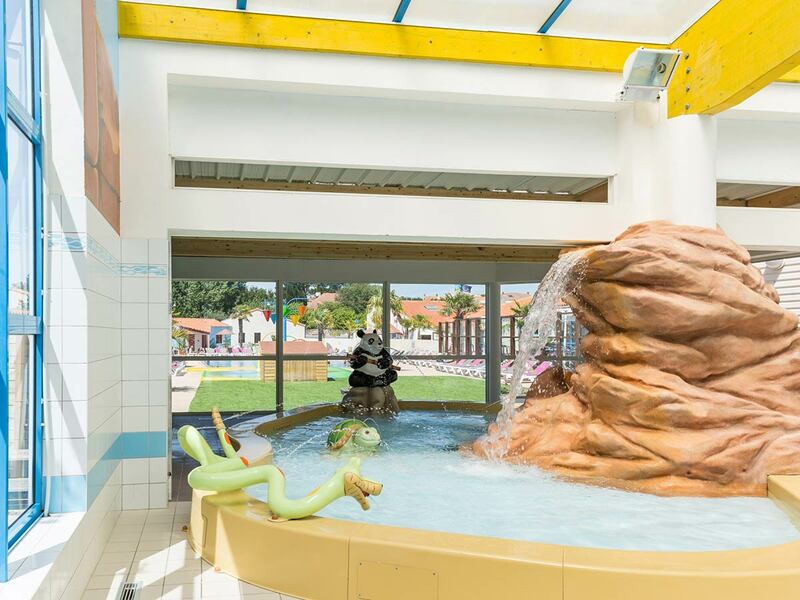 Water play equipment, slide and funny animals will be a delight to our small adventurers. This indoor water park with pool, paddling pool and fitness room is accessible every day from 10 am to 8 pm. Water park without a lifeguard. Wearing the bracelet to access the water park is compulsory. Inflatable toys and big tubes prohibited (only small tubes for babies and toddlers are allowed). Access strictly reserved to campsite customers. Visitors have no access to the water park.